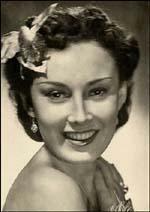 Lída Baarová was born in Prague on 7th September 1914. She studied acting at Prague Conservatory and got her first film role while only 17 years old. Kariéra Pavla Camrdy (1931) was followed by a series of films including Obrácení Ferdyse Pistory (1932), Senkýrka u divoké krásy (1932), Okénko (1933), Dokud mas maminku (1934) and Zlatá Katerina (1934). In 1935 Baarová moved to Nazi Germany where she appeared in Barcarole (1935). In Berlin she met Gustav Fröhlich, and became engaged to the German actor. At that time the German film industry was under the control of Joseph Goebbels, the Minister for Public Enlightenment and Propaganda. Richard Evans, the author of The Third Reich in Power (2005), explained: "By 1936 it was funding nearly three-quarters of all German feature films, and was not afraid to withhold support from producers of whose projects it did not approve. Meanwhile, the Propaganda Ministry's control over the hiring and firing of people in all branches of the film industry had been cemented by the establishment of the Reich Film Chamber on 14 July 1933, headed by a financial official who was directly responsible to Goebbels himself. Anyone employed in the film industry was now obliged to become a member of the Reich Film Chamber, which organized itself into ten departments covering every aspect of the movie business in Germany. The creation of the Reich Film Chamber in 1933 was a major step towards total control. The next year, Goebbels's hand was further strengthened by a crisis in the finances of the two biggest film companies, UFA and Tobis, which were effectively nationalized.... Financial control was backed by legal powers, above all through the Reich Cinema Law, passed on 16 February 1934. This made pre-censorship of scripts mandatory. It also merged the existing film censors' offices, created in 1920, into a single bureau within the Propaganda Ministry. And as amended in 1935 it gave Goebbels the power to ban any films without reference to these institutions anyway." It was not long before Goebbels began to take an interest in Baarová. Ralf Georg Reuth, the author of Joseph Goebbels (1993), has argued: "Goebbels showed his interest in the actress more and more obviously, and the ambitious young woman certainly did not object to the attentions of the man who carried the most weight in the German film industry... A dark-haired Slavic type, more like the femmes fatales officially frowned upon by the regime... Lida Baarová in looks was the exact opposite of Magda Goebbels." Lída Baarová said of Goebbels: "There's no doubt that Goebbels was an interesting character, a charming and intelligent man and a very good storyteller. You could guarantee that he would keep a party going with his little asides and jokes." 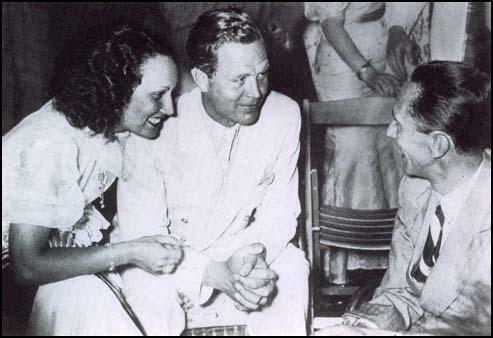 Lida Baarová, Gustav Fröhlich and Joseph Goebbels in 1936. The relationship upset Adolf Hitler. According to Heinz Linge, Hitler's valet: "Hitler acknowledged the value of Goebbels as a propagandist to his closest circle, where he often would not spare the blushes in being blunt. On the other hand, he did not always approve of Goebbels's private life. 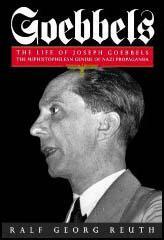 The many little stories circulating about Goebbels concerned him deeply. Because radio, the theatre and the film industry all came under the propaganda Ministry, Goebbels often came into contact with actresses and other female artistes upon whom the minister - and perhaps even more so the genial talker who could help one get ahead in one's career - often made a lasting impression. I often noticed how artistes and starlets of film and theatre would swarm around him, rivals for his favour.... A scandal erupted when the beautiful Czech film star Lida Baarova entered his adoring circle. She exercised such a spell over Goebbels that he quite lost his head and almost wrecked his until then happy marriage with wife Magda... Frau Goebbels wanted a divorce and to emigrate to Switzerland, causing Hitler to envisage for himself a major scandal. He decided to attempt a reconciliation of the couple and invited them both to Obersalzberg. There he received them separately. In individual conversations he explained to them that they must relegate their personal interests to those of the state. The separation was prevented. In the Berghof Great Hall he made them both promise to remain loyal to each other from now on. Happy at having resolved the crisis he brought the reconciled couple himself to the NSDAP guesthouse on Obersalzberg". After her relationship ended with Joseph Goebbels Lida Baarová had difficulty making films. In 1938 her film, A Prussian Love Story, was banned. She fled to Prague and in 1942 she moved to Italy where she starred in such films as Grazia (1943), La Fornarina (1944), L'ippocampo (1945) and Vivere Ancora (1945). Baarová was arrested at the end of the Second World War by the Allies and extradited to Czechoslovakia. She was released after 18 months of custody due to lack of evidence. She married Jan Kopecký in June 1947 and the following year they moved to Italy where Baarová appeared in La Bisarca (1950). Other films made in the country included La vendetta di una pazza (1951) and I Vitelloni (1953). Lida Baarová died on 27th October, 2000. A scandal erupted when the beautiful Czech film star Lida Baarova entered his adoring circle. She exercised such a spell over Goebbels that he quite lost his head and almost wrecked his until then happy marriage with wife Magda. His Secretary of State, Karl Hanke, the personal confidante who knew about Goebbels's affairs, was a person who held Frau Goebbels in the highest regard and was thus at a loss to know which road he should now follow. He came and asked me "to arrange a date to see the Fuhrer", which I did, and now Hitler discovered what lay behind all the rumours. 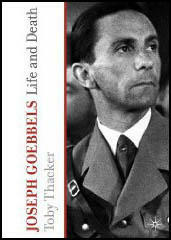 Frau Goebbels wanted a divorce and to emigrate to Switzerland, causing Hitler to envisage for himself a major scandal. He decided to attempt a reconciliation of the couple and invited them both to Obersalzberg. There he received them separately. In individual conversations he explained to them that they must relegate their personal interests to those of the state. The separation was prevented. In the Berghof Great Hall he made them both promise to remain loyal to each other from now on. Happy at having resolved the crisis he brought the reconciled couple himselfto the NSDAP guesthouse on Obersalzberg and wished them jokingly "a happy second honeymoon".